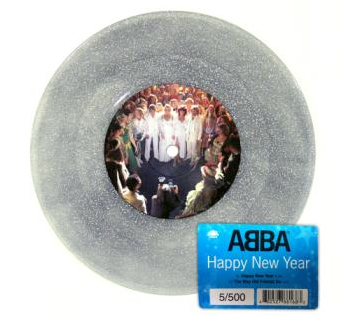 On 22 November an email and simultaneous notice on the official ABBA site announced that orders were being taken immediately for a limited edition 7-inch vinyl single of ‘Happy New Year’/’The Way Old Friends Do’, for dispatch on 30 November. 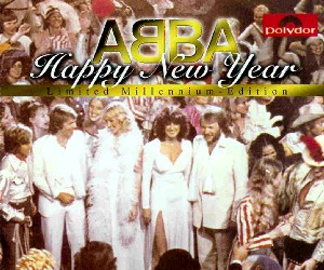 The single was only available from the ABBA site and the ABBA Fan Club Shop. Within three hours both outlets had exhausted their allocation. While the Fan Club Shop limited to two copies per order apparently the ABBA site allowed orders of up to five copies. The timing of the announcement left a lot of ABBA fans upset. Australia was just going to bed, Europe was at work, America was about to wake up. Between the timing and the number of copies available per order many, many fans missed out on the chance to order the single. Unsurprisingly copies have already appeared on eBay for outrageously inflated prices. ABBA fan forums and the official ABBA page on Facebook have been flooded with comments from disgruntled ABBA fans. For many it was a reminder of 2004’s limited edition ‘Waterloo’ picture disc single, which was available through general outlets in the UK, but disappeared within days as all copies were snapped up – allegedly one person ordered 150 copies from an online store. Perhaps there are lessons to be learned here. There could be a pre-announcement that orders for such limited items would be taken from a particular future date and time, so people could be prepared. And limit the number of copies available to avoid unscrupulous dealers ordering multiple copies to only to make huge profits later. As if to make amends the official ABBA site is currently holding a competition to win copy #5 – the first four numbers copies have been given to the ABBA members.